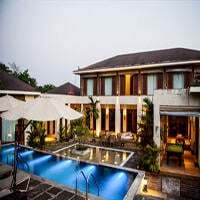 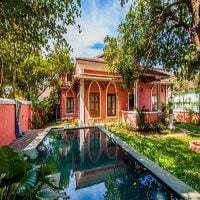 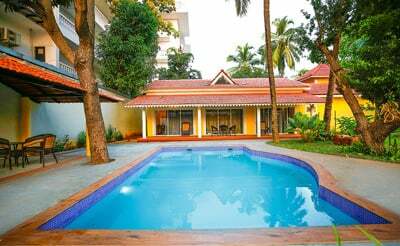 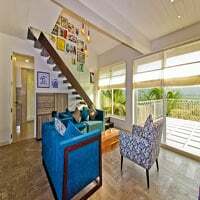 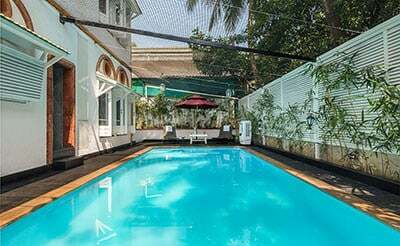 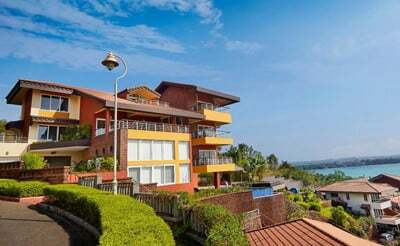 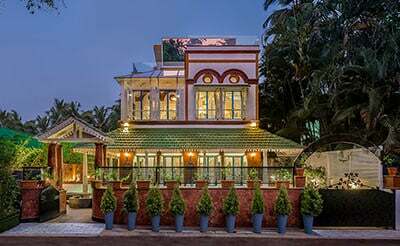 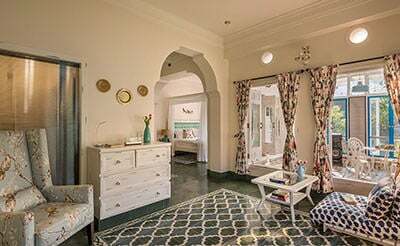 Casa Pelo Mar, a private luxury villa with 5 bedrooms in Candolim is on the Candolim beach, with an aim of offering you unlimited fun. 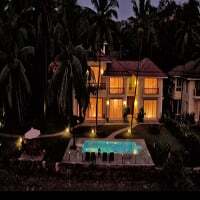 The villa delivers a lovely experience as it provides first in class service and mind blowing hospitality. 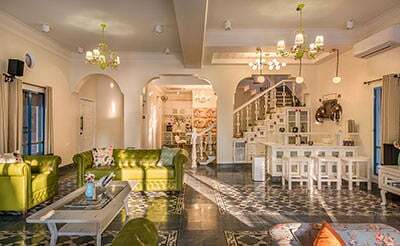 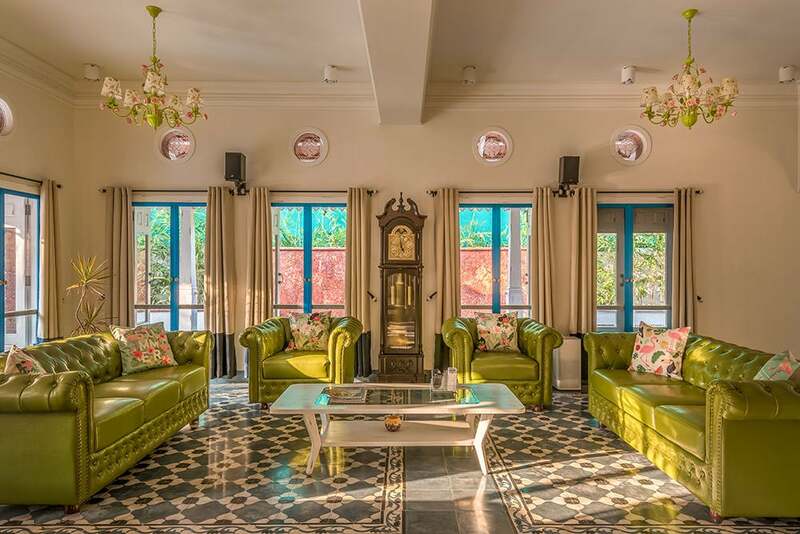 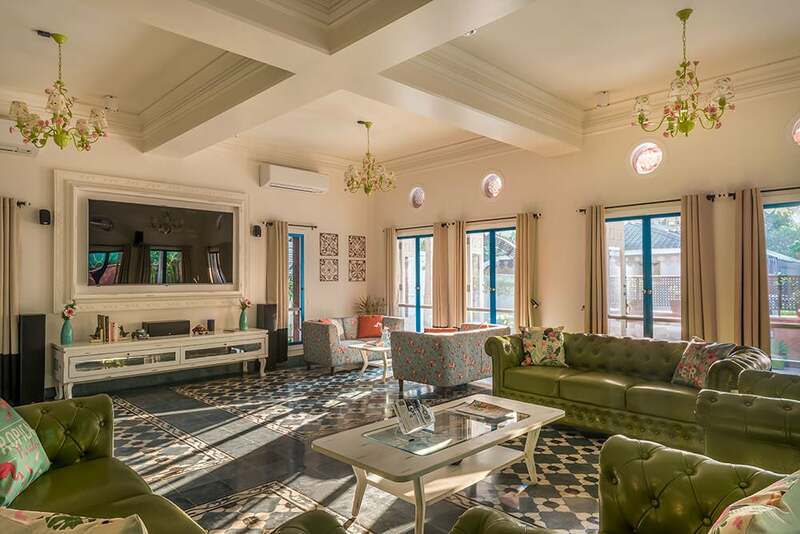 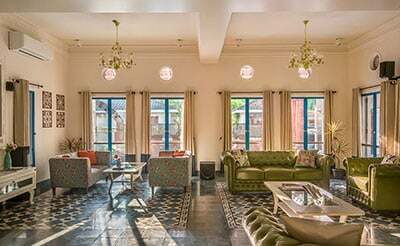 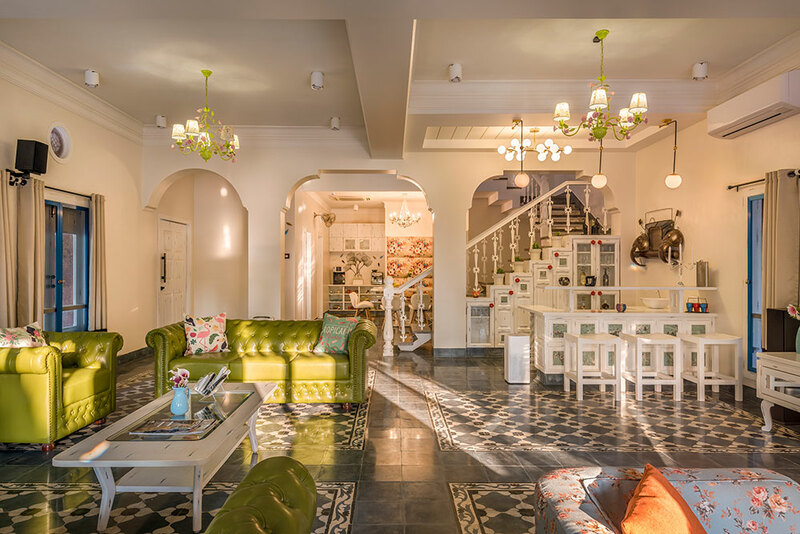 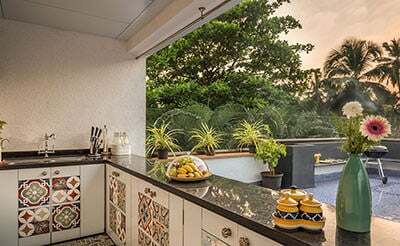 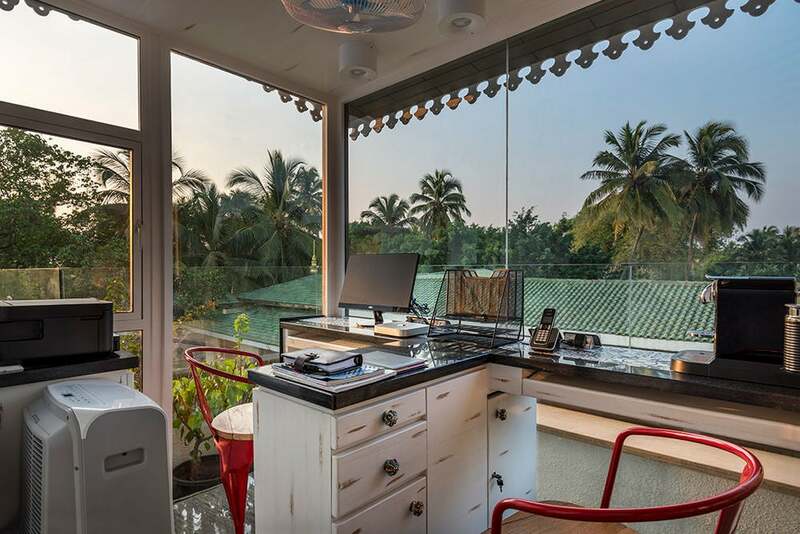 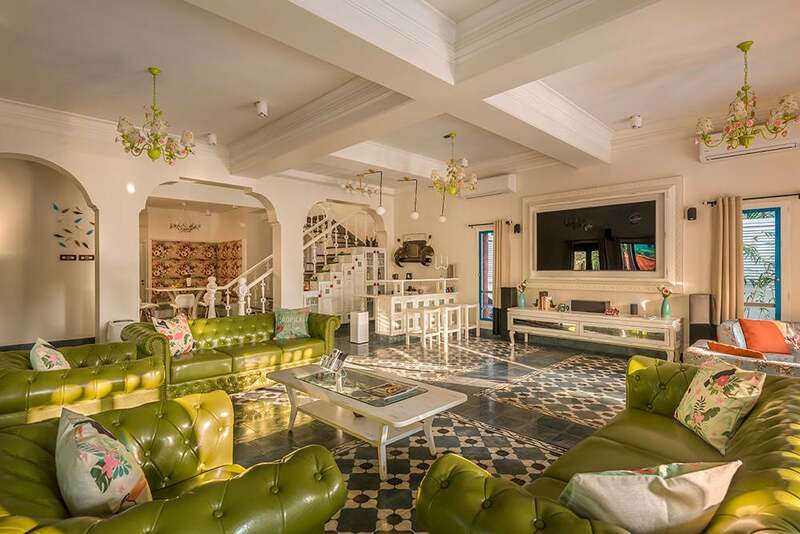 This modern Portuguese property with trendy interiors, exotic furniture’s and large rooms, add an air of luxury to the entire Goa villa. 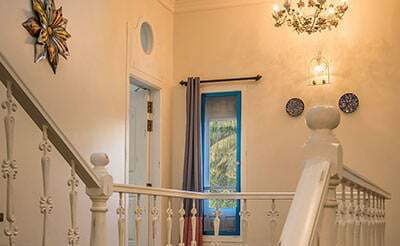 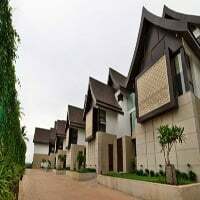 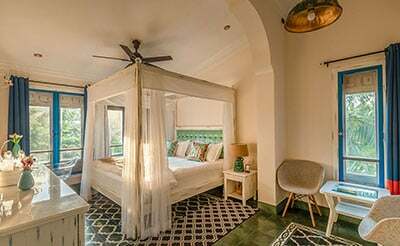 The entire property is air conditioned making sure that you stay cool within the villa even when the temperatures are soaring high outdoors. 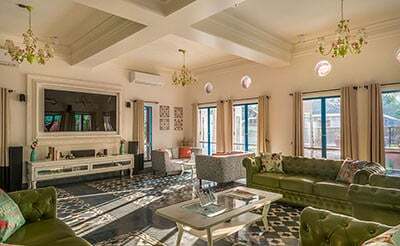 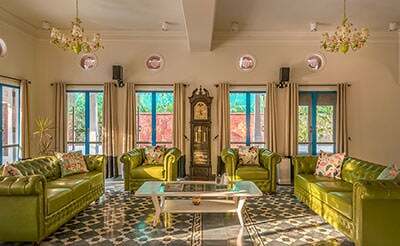 The huge living room with a big screen television, cozy furniture’s and a lovely atmosphere is the apt spot to spend quality time with your loved ones. 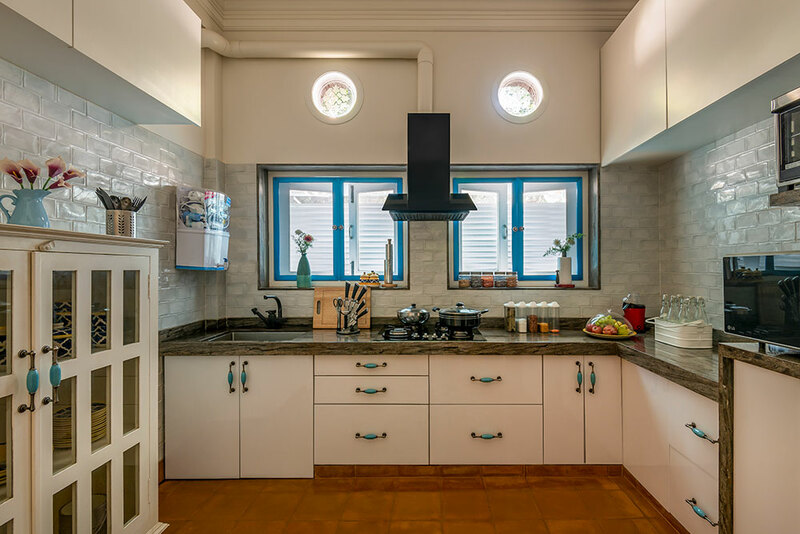 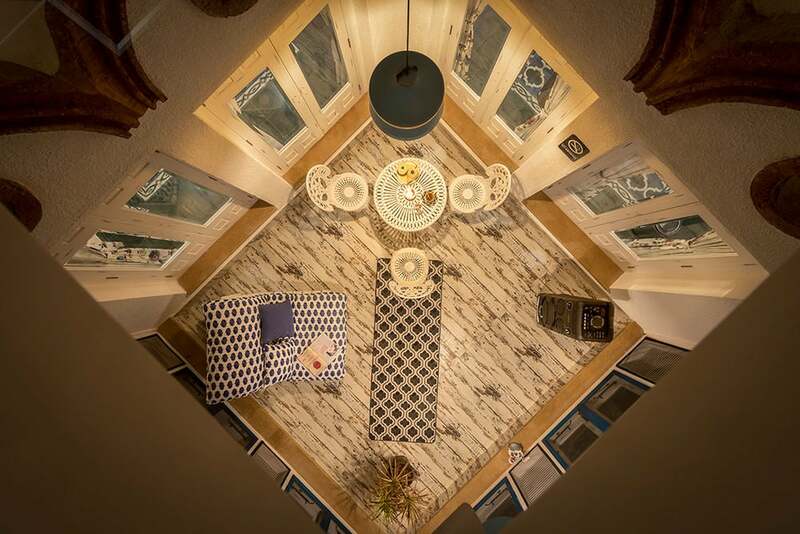 The dining area is good for the entire family to dine together and relish your favorite dish. 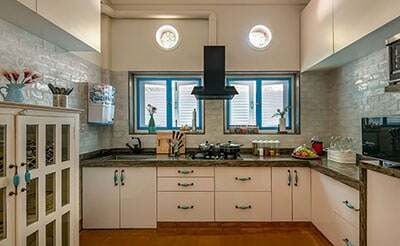 The kitchen is fully equipped serving the need to cater your cooking needs or a chef can be hired to do the same. 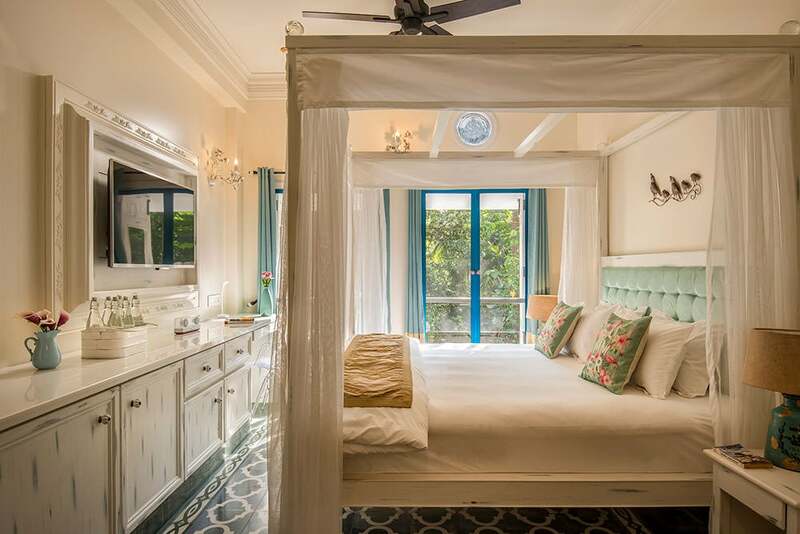 All the five bedrooms are spacious and airy with beautiful furnishings. 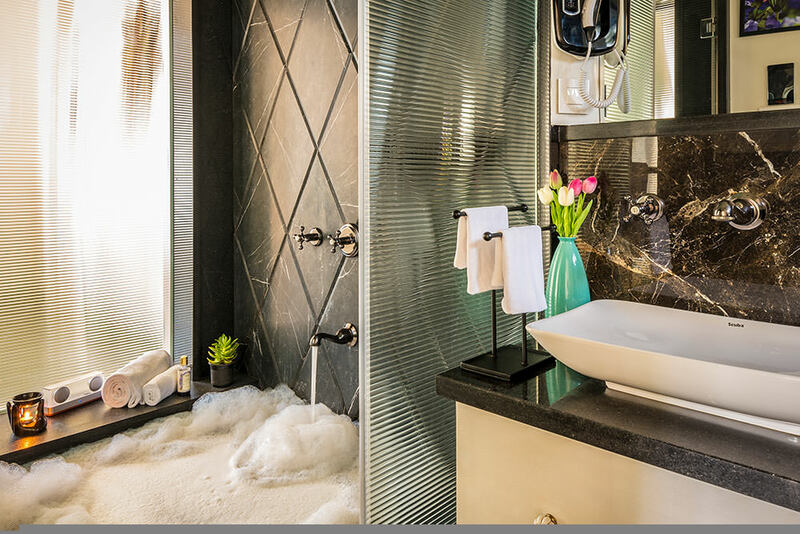 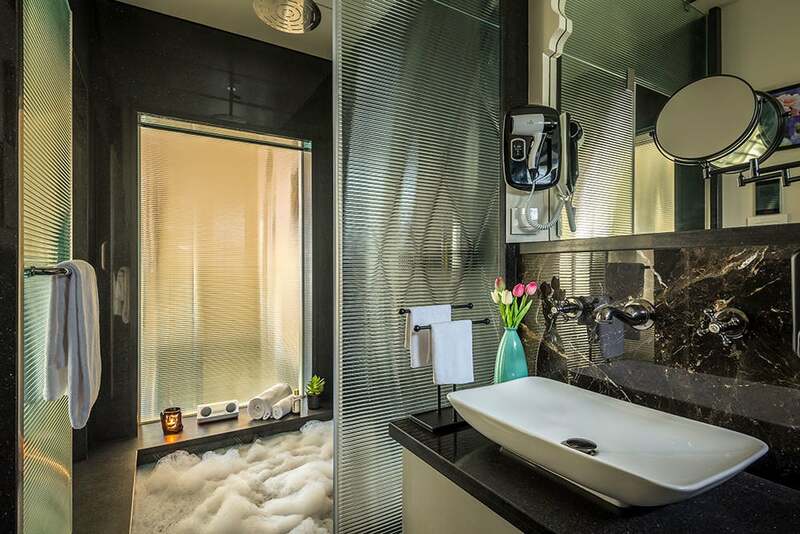 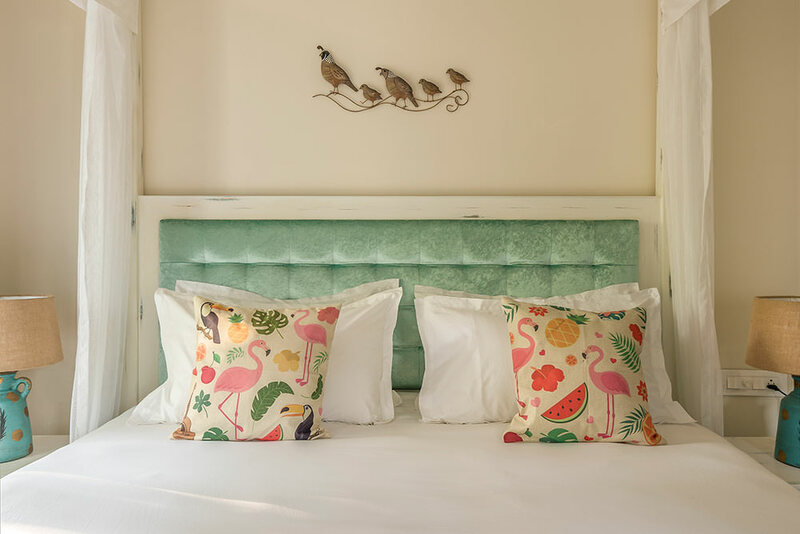 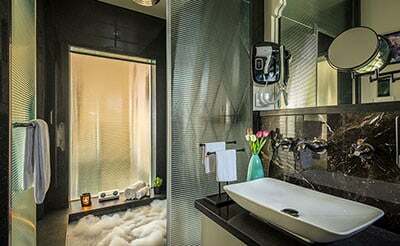 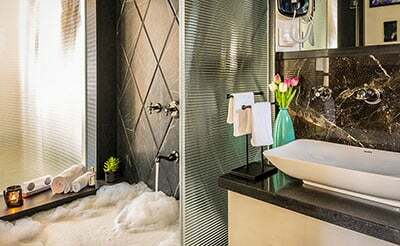 Each room comes with beds, mattresses, en-suite bathrooms and more. 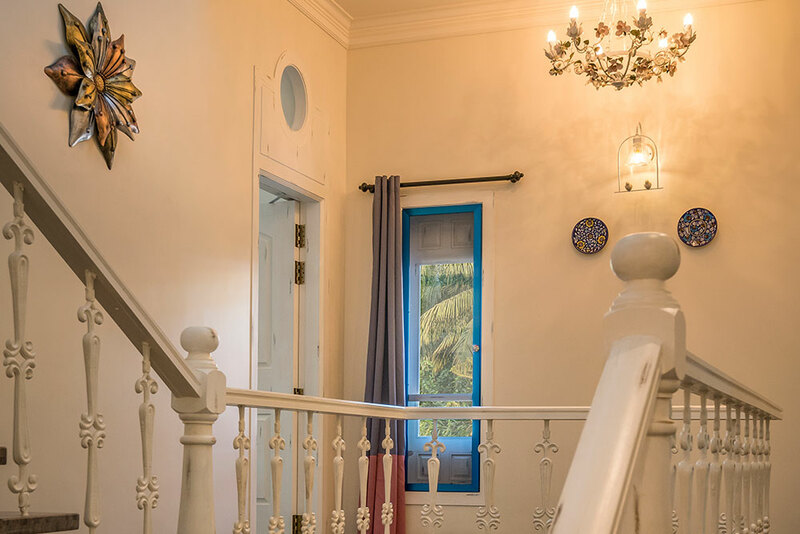 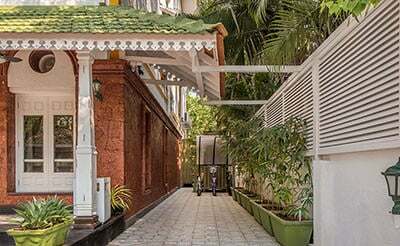 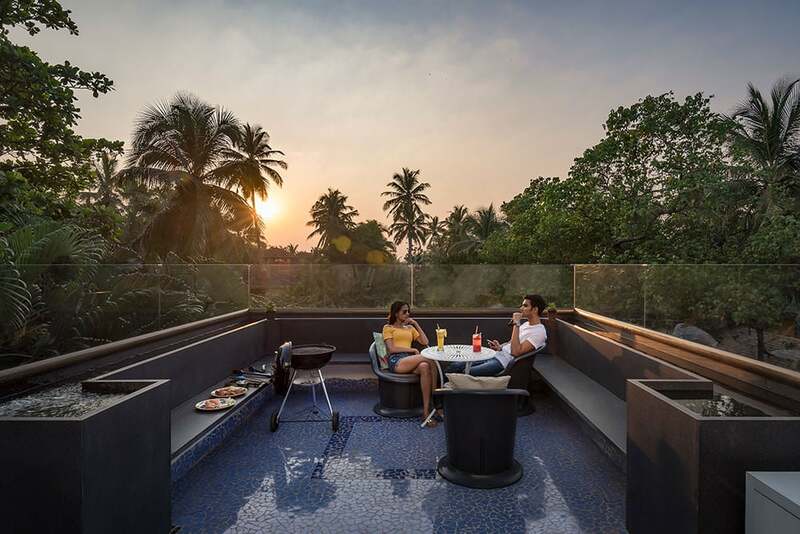 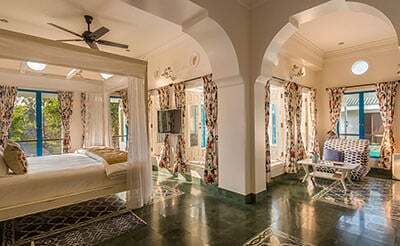 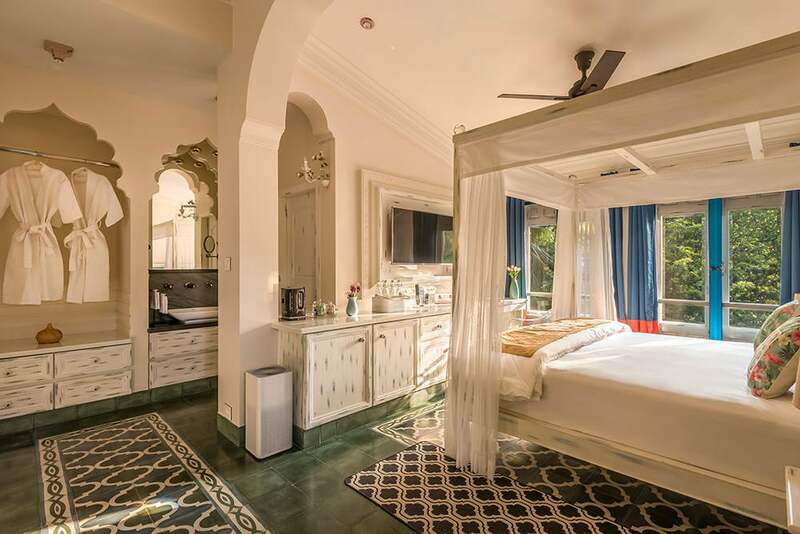 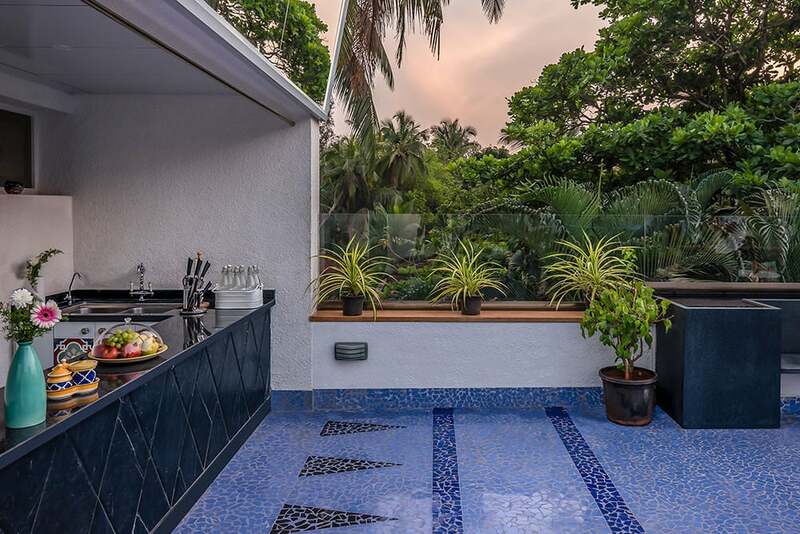 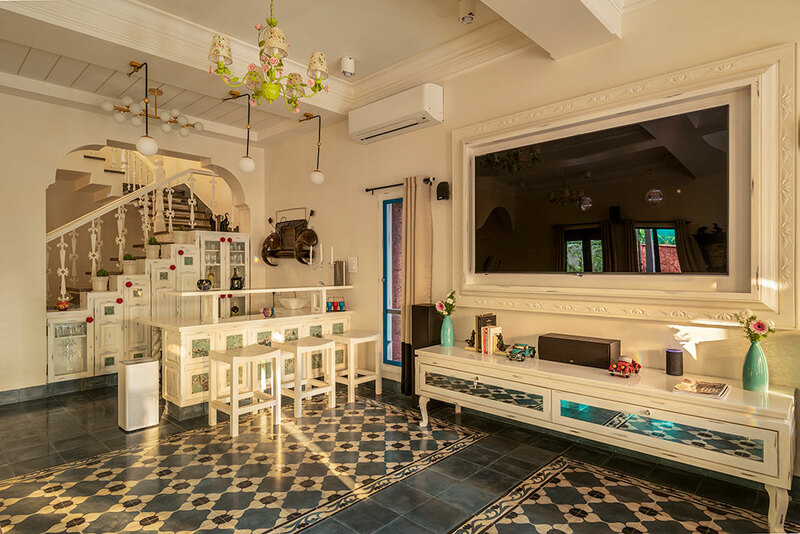 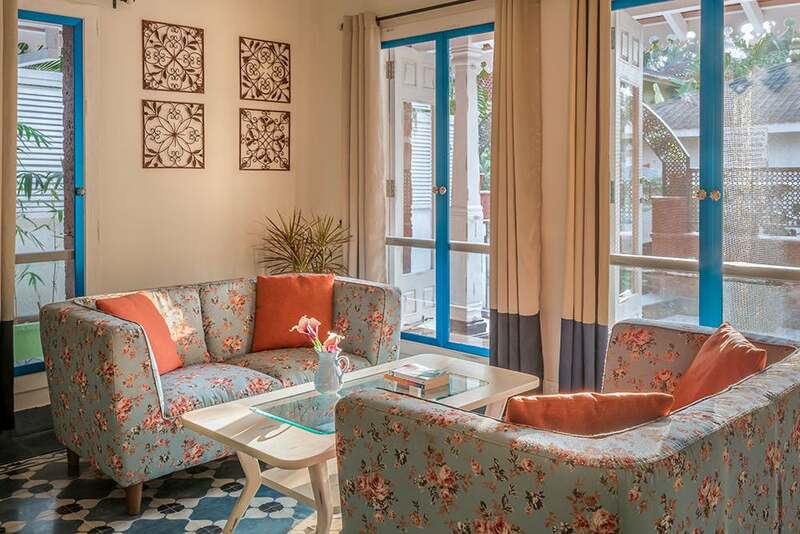 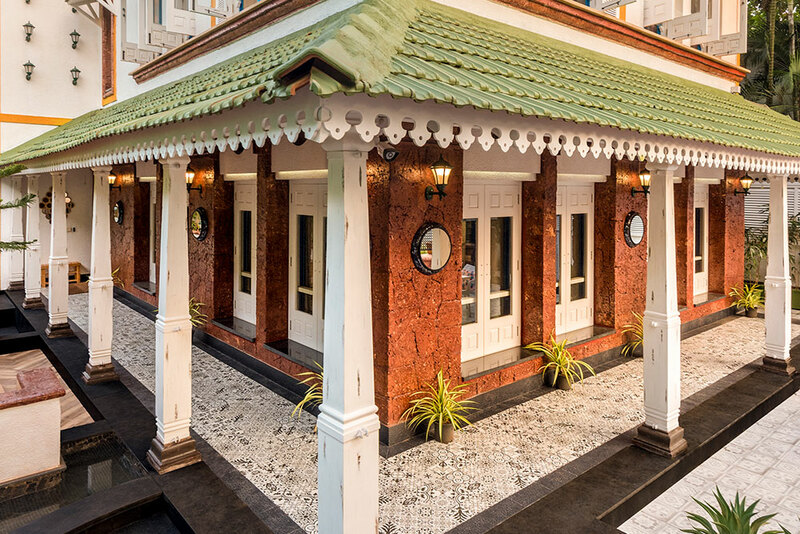 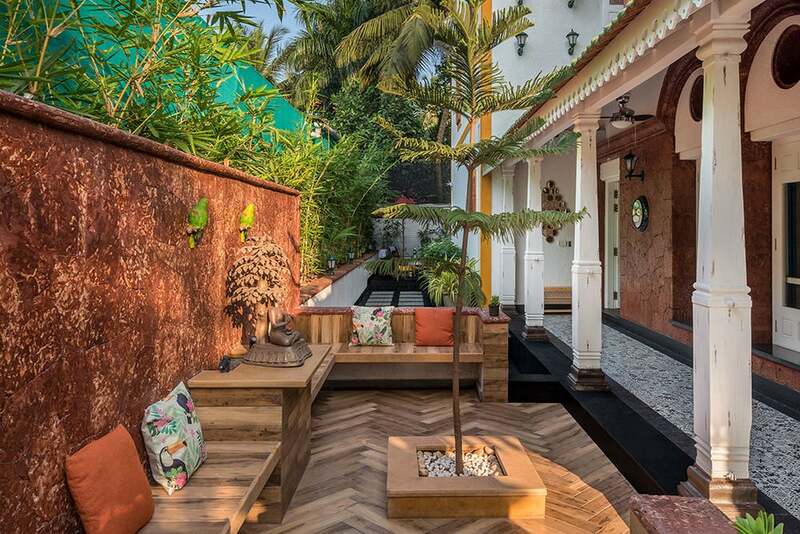 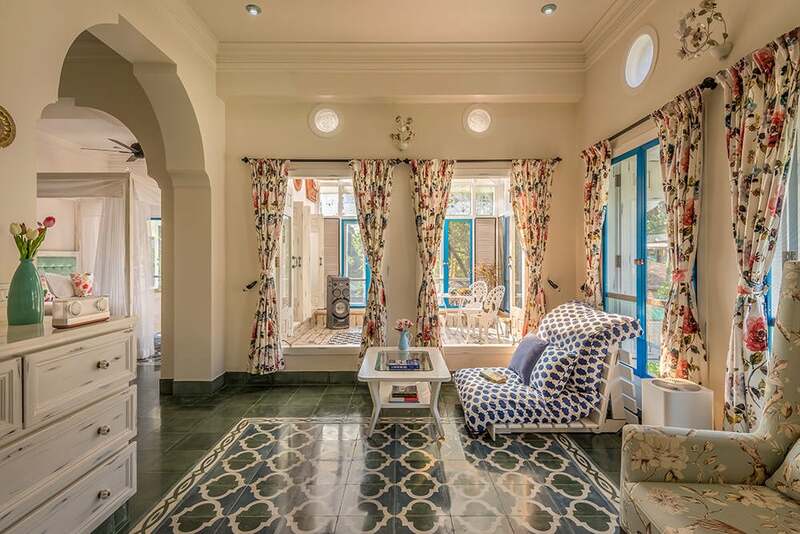 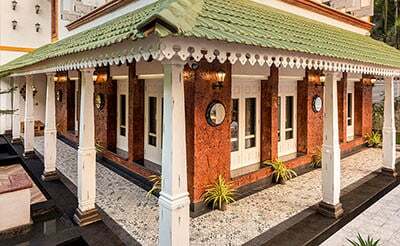 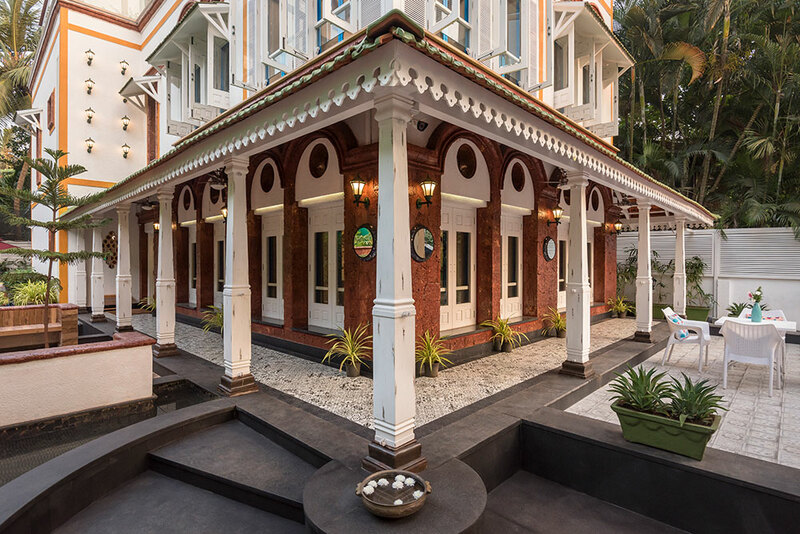 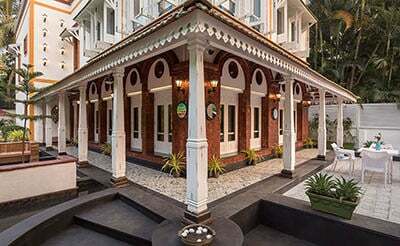 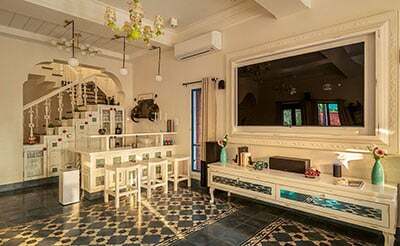 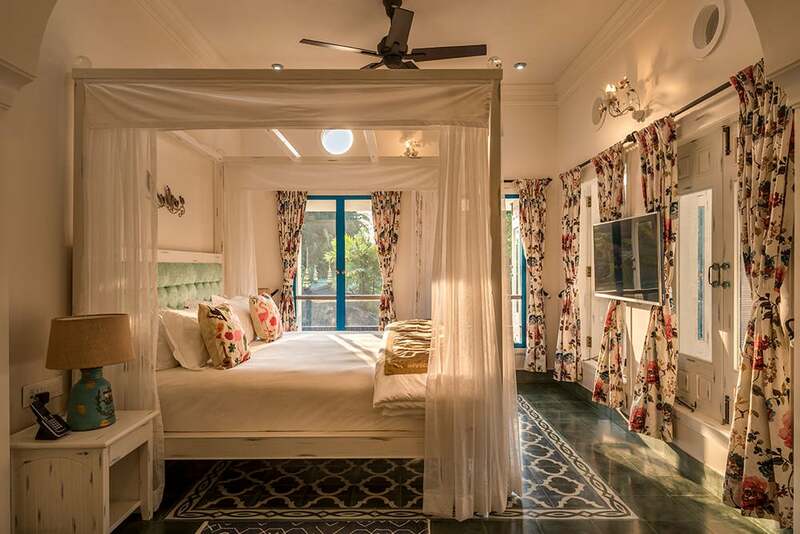 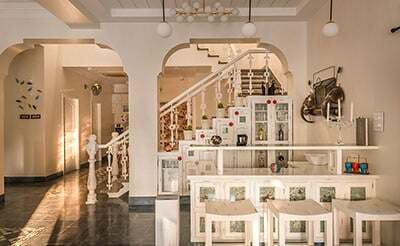 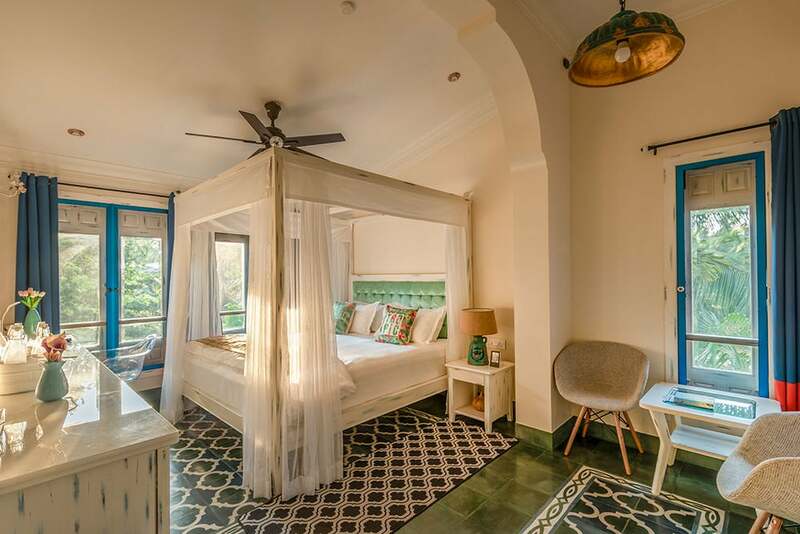 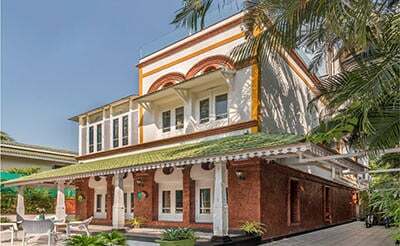 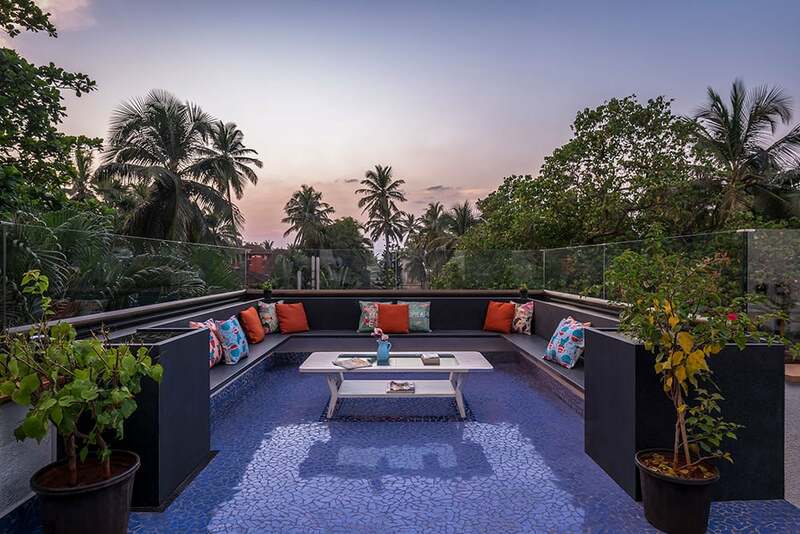 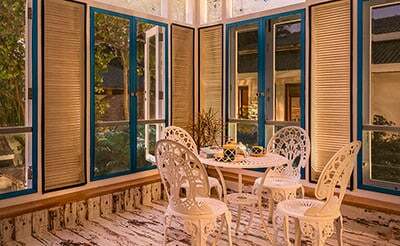 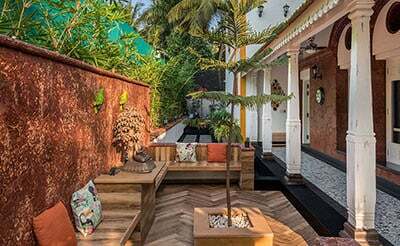 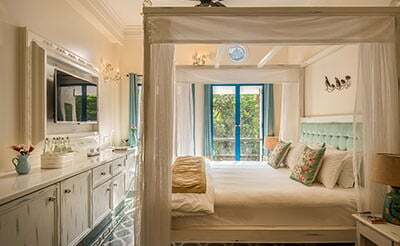 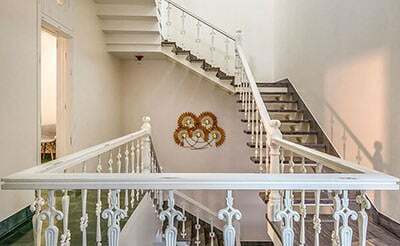 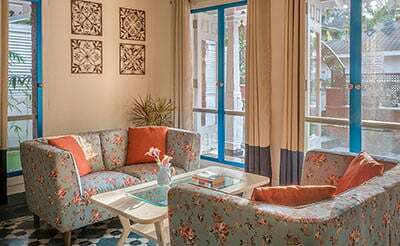 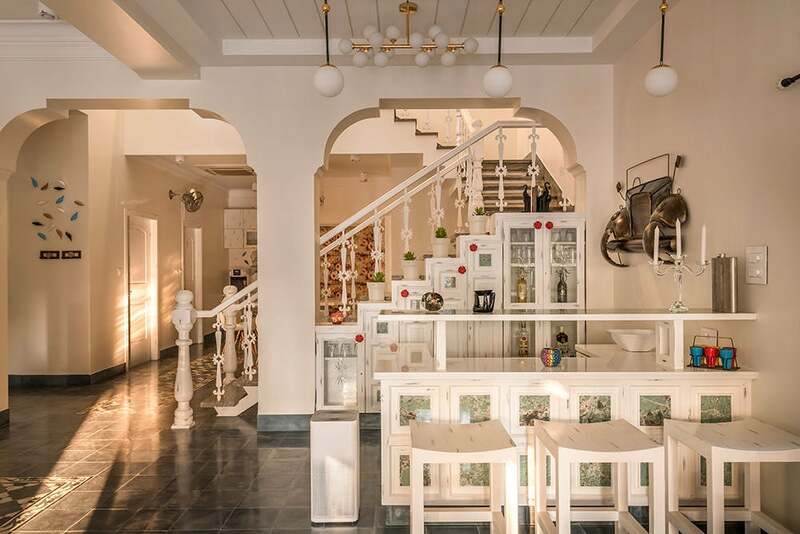 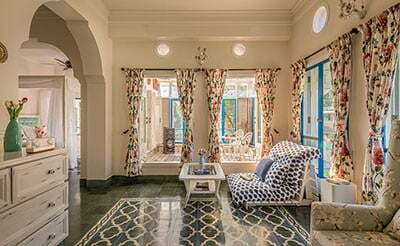 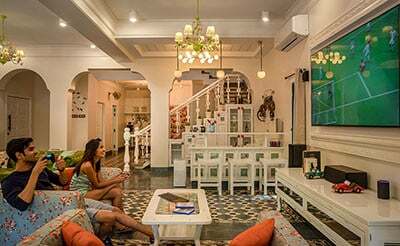 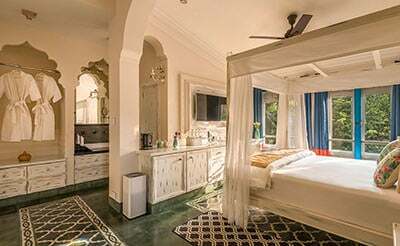 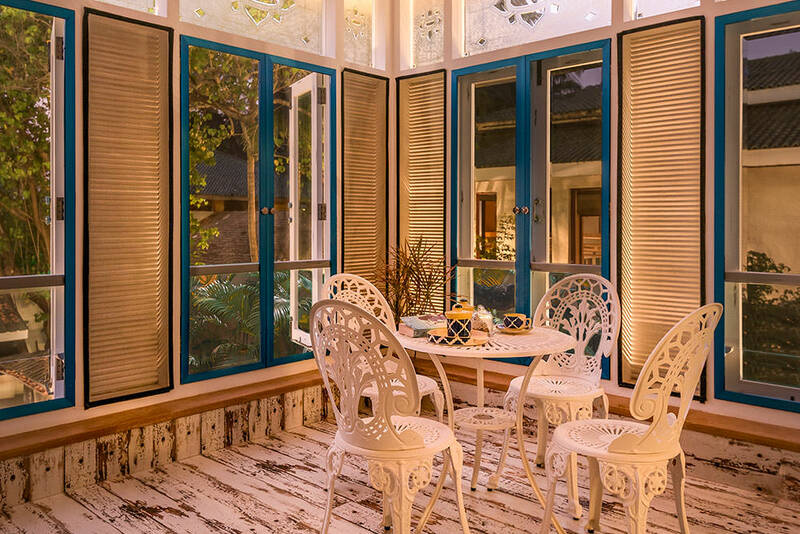 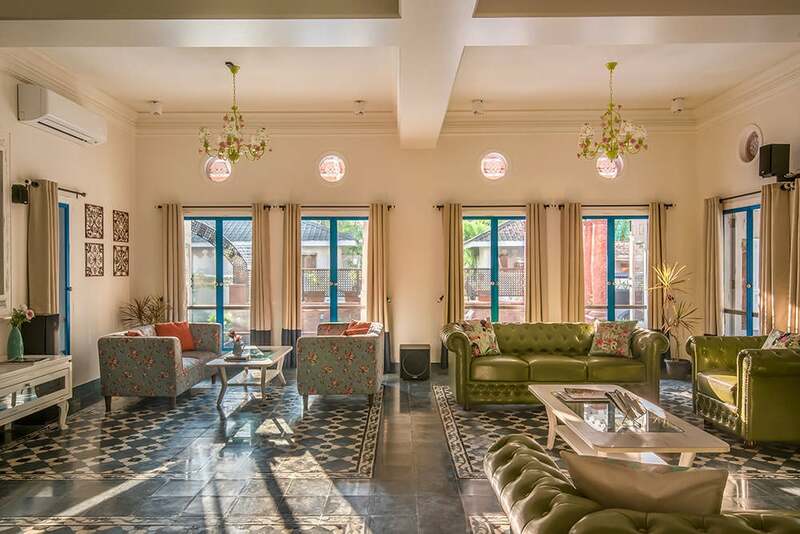 You also get to enjoy the lovely fresh Goan breeze that makes its entry into the rooms at free will. 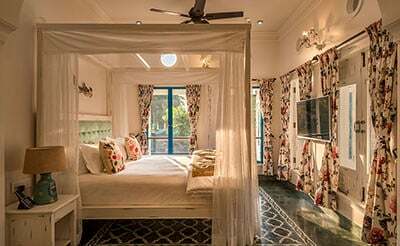 The garden views are spectacular that can be enjoyed from your bedroom. 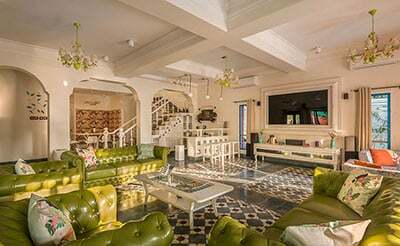 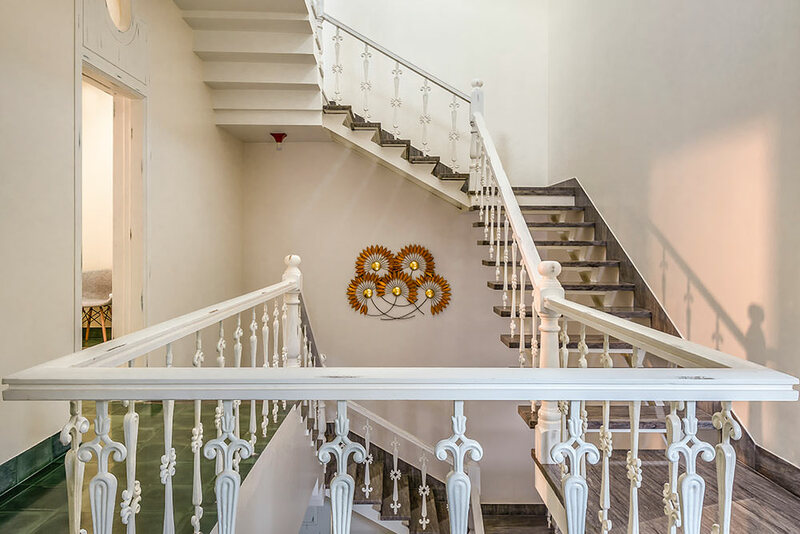 The balcony upstairs has comfortable seating’s and is the perfect place to spend good time in the evenings with your family or settle down with your favorite book in peace. 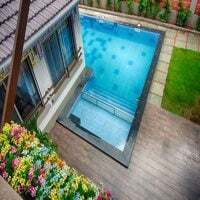 The private swimming pool is good for the entire family to take a dip or swim. 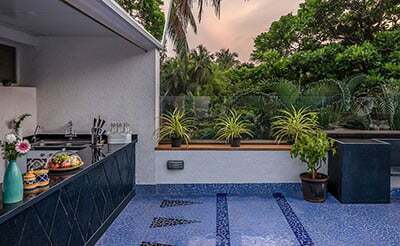 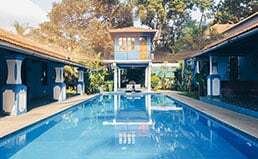 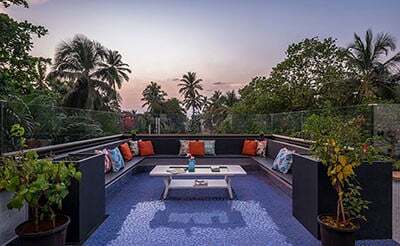 Pool side parties can never get better at this villa in North Goa. 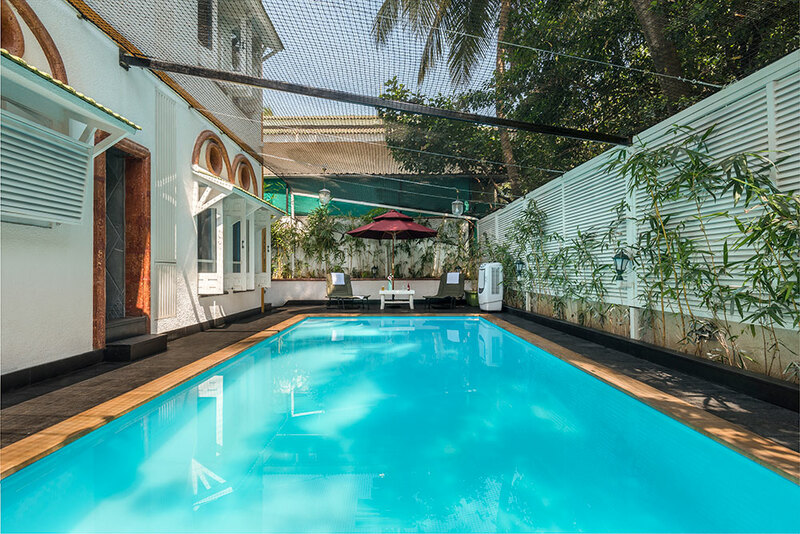 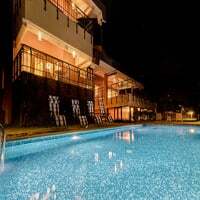 Beside the swimming pool, you can settle in any of the seating’s and get a perfect sun tan. 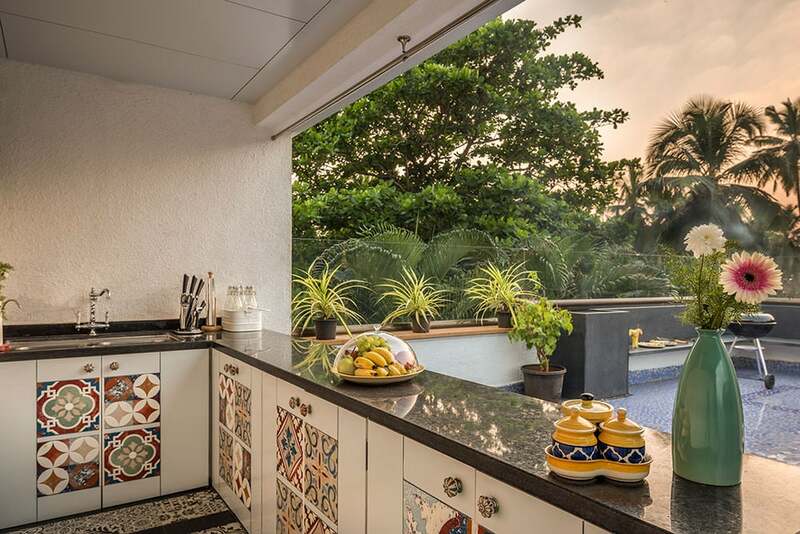 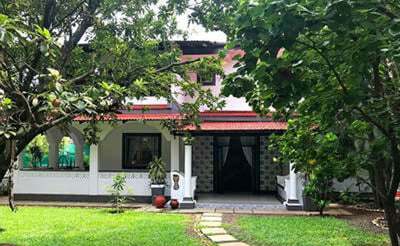 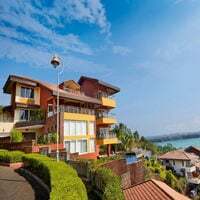 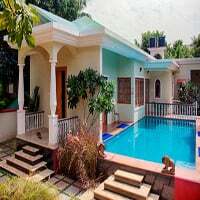 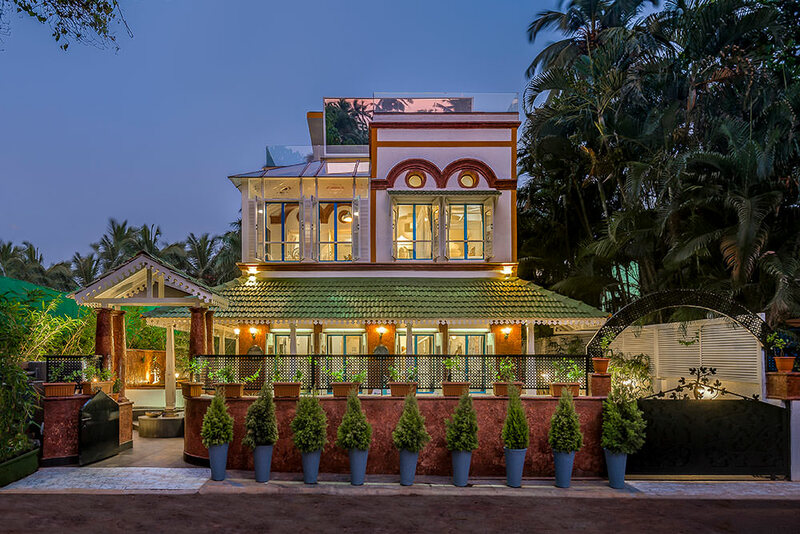 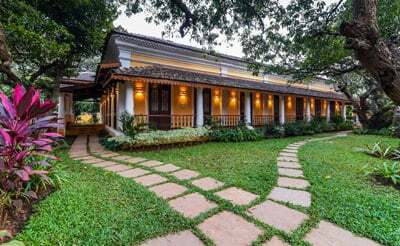 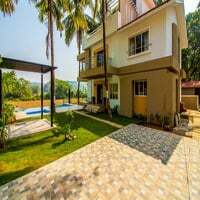 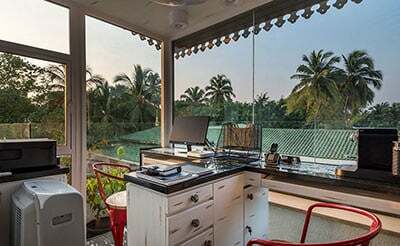 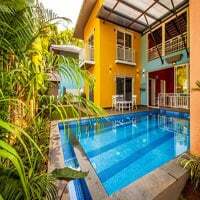 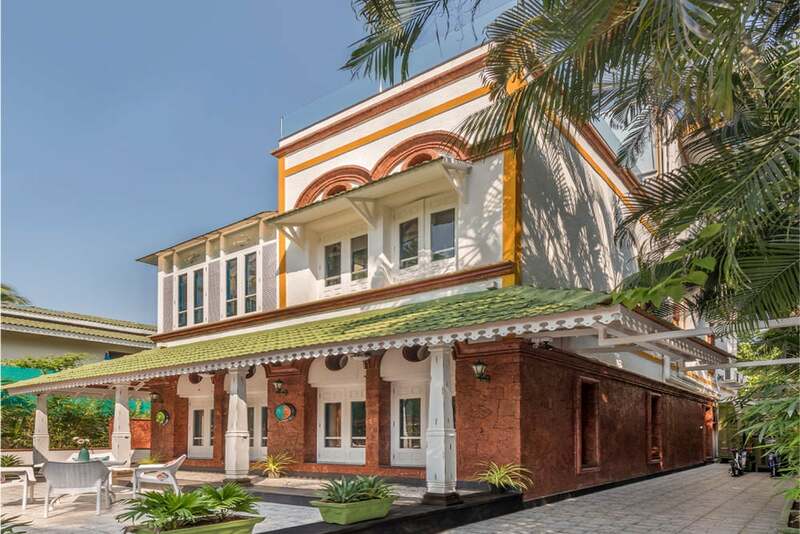 Additionally you have the assistance of housekeeping, security, 24/7 power backup and more at this independent villa in North Goa.